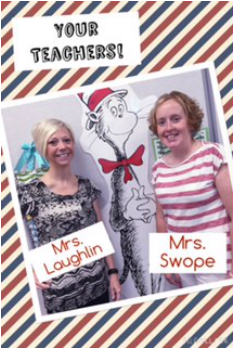 We are Mrs. Laughlin and Mrs. Swope, and we are excited to be your teachers this year! We have planned many fun things for reading, language arts, math, social studies, and science. We know that you will grow into fabulous readers, writers, mathematicians and thinkers this year! Get ready for an exciting adventure in 1st grade! Be sure to check out the "What's Happening" tab to see posts and pictures!